Monto Magic Tourism has some busy months ahead. I had a successful meeting with Mark from Opera Queensland and we are ready to go to promote this exciting event. Put Sunday 3 September, on your calendars for AN EVENING WITH Opera Q. This event will be a wonderful experience. We are looking for volunteers to help us plan a thoroughly enjoyable afternoon of beautiful music and delicious food. We are looking for generous sponsors to be able to bring this opportunity to Monto and the North Burnett. Please contact me if you would like to help. My new phone number is 4167 8182. Organizing of the Legend & TheLocals event featuring Golden Guitar winner Sara Storer is well underway. This event will be such a wonderful opportunity for our local musicians. Tamara Purkis is busy training the MICE band to perform at the event and also is on the lookout for a local singer to work with Sara. If you are a musician, Tamara would love to hear from you. This opportunity is open to students as well as adults. Tamara can be contacted at the Monto State School. The event is on Saturday 14 October. Concert starts at 7pm. Tickets available shortly. I have to thank RADF and the North Burnett Regional Council who have generously provided a grant for $5000 for us to stage this great Legend & the Locals Event. The Regional Arts Development Fund is a partnership between the Queensland Government and North Burnett Regional Council to support local arts and culture in regional Queensland. Monto Magic Tourism has taken over sponsorship of the Monto Country Craft Markets. Margaret Nagy has kindly offered to be the organizer. I am sure she would also welcome some assistance. The next market will be on Saturday 1st July at the Lister Street Art Walk. Margaret’s Phone Number is 0408 499 342 or contact can be made through the Monto Country Craft Markets Facebook page or the Monto Magic Tourism web page www.montomagic.com.au. Our Monto Souvenirs are selling well especially at the Monto Post Office. Many thanks to Merryn and her team for supporting Monto Magic Tourism by selling them at the Post Office. If you are looking for a unique gift from Monto, check out these quality items. We are always on the lookout for quality items to sell as a memento of Monto. 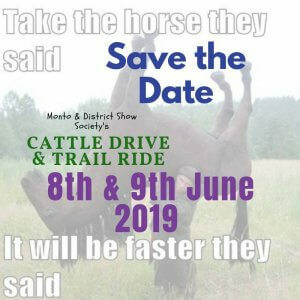 Contact Jennifer at Monto Rural if you would like to be part of this. ATTENTION Monto Business Owners. If you haven’t already signed up for our Monto Tourism Business Directory on our website, www.montomagic.com.au, you are missing out on a great opportunity to promote your business and what you have to offer. For a small annual fee of $70 your listing will be available to tourists and locals to find a business for their needs. Contact Jennifer at Monto Rural or through our website if you would like to register your business. If you don’t have time to do the paperwork, Jennifer is only too happy to help you. The “grey nomads” are on the road again with lots of them coming through Monto. It is wonderful to see them checking out our beautiful region. Please make them welcome and encourage them to stay a while longer. The money they spend is a great help to the economy of our town. Paul and Kerry , our volunteer RV Stopover caretakers, are making arrangements to move on. They have done a wonderful job of setting up the park and welcoming visitors to our town. We thank them very much. We have found new caretakers. Robyn and Jim Piper will be joining our team around the middle of November. We look forward to welcoming Robyn and Jim into our community.